This post is part of the Virtual Curriculum Fair. The topic this week is social studies and science. We have enjoyed exploring social studies and science through unit studies. Our love for unit studies all began when my oldest child was 5 and very much into dinosaurs. As we embarked on formal schooling, I asked him what topic he wanted to study. Of course, he chose dinosaurs. I haphazardly pulled together some books, videos, and activities and put them in a logical order. It was his favorite part of school. I don’t think this was just because of the dinosaur topic. Unit studies were very conducive to discussions and bunny trails. It was an enjoyable time for both of us. So the next school year, I jumped into unit studies even more by doing history and geography studies with my boys. They loved them. Because my boys were little, our unit studies were very much hands-on. As they grew, we did lots of history, geography, and science unit studies. I’m now starting to reuse some of these unit studies for my youngest child. Some unit studies cover many different subject areas in one study. I didn’t really like that approach, so we just covered the one topic in depth. There are no math activities or language arts activities woven in. We do encounter math, language arts, art, music, and more in our studies, but only do so when it comes up naturally (i.e. listening to Italian music when learning about Italy). So here are my 5 steps to creating a unit study on a topic. Keep your topic as wide or narrow as your like. I prefer to be a little more focused because it makes the study easier to complete. So, I might put together a study on the human body instead of a broad one on biology. 2. Find a suitable spine. A spine is a book or books that cover your topic. Head to your local library and find a book on the topic that seems to cover the areas you want to cover. Sometimes I end up using several books instead of just one book. But usually, it works best to choose a book that covers your entire topic well. The spine has already done much of the work for you. Use the organization of the topic found in your spine. Write down the order of topics and if you want to read some of the spine for your study, note the page numbers. Now that you have the organization of your study all set, fill it in with activities, videos, books, or games. Consider what your children will enjoy. If you think they would enjoy making a scaled Noah’s ark out of brownies, do that. If you think they would really like a card game on the topic, build that into your study. I designed our unit studies with things my kids would enjoy. Sometimes they are video-focused or art-focused or full of hands-on activities. I tend to avoid things that look complex or expensive. I also don’t add anything that I’m not wanting to do either. 5. Write everything down in the order you plan to do it. Write down the page numbers for any books and whether or not it is a library book. Write down any activities and record any links to projects you find online. If you need materials for anything you are doing, write that down as well so you can make sure to have them on hand. Then you are all set. Check out some examples of our lists in one of the unit study links below. I often put my unit studies on this blog because they contained online video links. It make it easy to use. I just came here and clicked on the links. We like exploring things in depth. The studies have changed as my children have grown, but each time I have sought to fill in the study with things that my children would enjoy. Mud walk for Botany study. We scraped off the mud and put it in a container to see if any seeds would grow. Mammal classification study. We learned about classification as we studied mammals. Drawing was a big part of this unit study. Skin model made from Rice Krispie Treats. This was part of our human body study. Microscope for human body study. Seasons and Holidays study. My daughter’s first snow angel. Invertebrates: Sponges and other minor phyla (Used in 3rd and 5th grade) Link takes you to hubpages. I published it there with all the Youtube videos embedded. Invertebrates: Arthropods (Used in 3rd and 5th grade). We haven’t finished this one yet. It is my go-to when I’m not feeling well since my boys can do it independently. Seasons and Holidays study (Used in K4). This was a crafty study that combined social studies and science for a young child. Native American study. Face painting. Ancient Israel study. They were experiencing the 9th plague of Egypt. Prehistory (using in K and 1st grade for my daughter). I took the original prehistory study I made for my boys and revised it for my daughter. Ancient Egypt (1st and 3rd grade) While this isn’t a link to our unit study, it shows many of the projects we enjoyed that year. Ancient Israel (1st and 3rd grade) This one just links to a favorite activity in our study. Ancient Greece (used in 2nd and 4th grade) We spent a lot of time on Greek myths and used lots of videos for this study. Ancient China, Ancient Rome, and Early Christianity (3rd and 5th grade). I did two tracks for my two very different kids. One was more project-based (3rd grade) and one was lecture-based (5th grade) using the Teaching Company lectures. Middle Ages (4th and 6th grade) This is a documentary-focused study. Unit Study on Scotland. We made kilts out of a few things in the house. Introduction to World Cultures study. She colors in a country before she watches a video about it. Ukraine unit study. A decorated cookie cake. Ukraine Unit Study. We make or color a flag for each country we study. Virtual Travel around North America study. My son cut and pasted himself into a picture at the Air Zoo. Italy (K and 2nd grade) While this one isn’t a list of our unit study, it shows some of the incorporated activities. Sri Lanka (2nd and 4th grade) The link takes to you a Hubpages page where all of the videos are embedded. We aren’t the only ones participating in the Virtual Curriculum Fair. 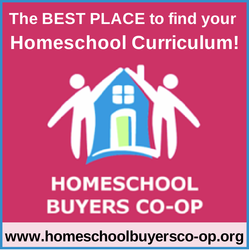 Be sure to check out how other homeschool families approach learning about social studies and science. geography unit study, history unit study, make your own unit study, science unit study, unit studies, unit study. Bookmark. Susan @Homeschooling Heartss & Minds recently posted…Please Pardon My Growing Pains! I love the idea of unit studies, but haven’t wrapped my brain around how to schedule them. Any suggestions? Schedule time. Go through as much of your list that you can in a certain amount of time and then pick up where you left off the next time. There are times when I wish we had started with unit studies when our kids were younger. Sounds like so much fun! I love how you explained how to design a unit study. Thank you for listing links with grade levels. I have been struggling on where to start with my daughter and what I want to use with her. I am going to pin this on pinterest and book mark this so when I work on lesson plans for next week I will have an idea where to start.